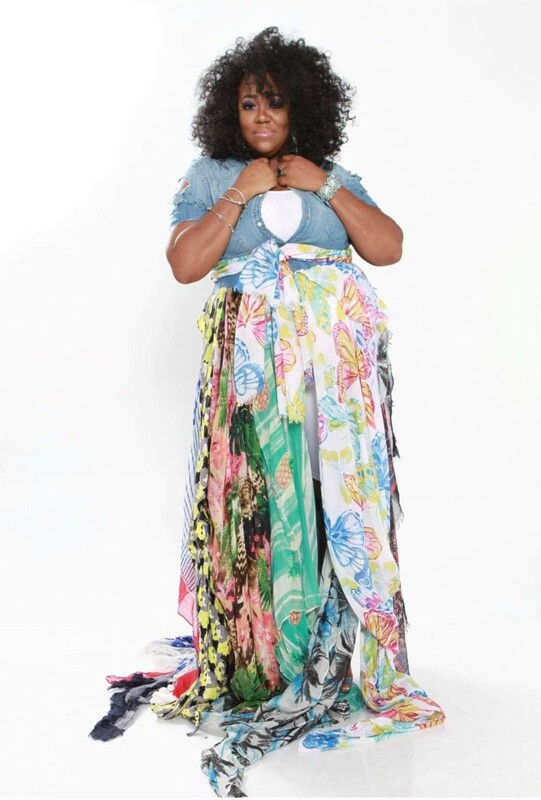 DESTINY STEPS — Now that she has overcome an array of odds, now that she is walking fervently in her divine purpose, there’s no turning back for 29-year-old Ohio entrepreneur Tara Brown, who is the owner and CEO of Metiamay Visions. Tara Brown fielded the question as if she expected it. Now that she’s arrived, now that she has overcome an array of odds, now that she is walking fervently in her divine purpose, there’s no turning back for this 29-year-old entrepreneur, who is the owner and CEO of Metiamay Visions. A business that officially went into operations earlier this year, Brown’s Dayton, Ohio-based Metiamay Visions has become a globally-acclaimed fixture as the home of professional refined designs and images. 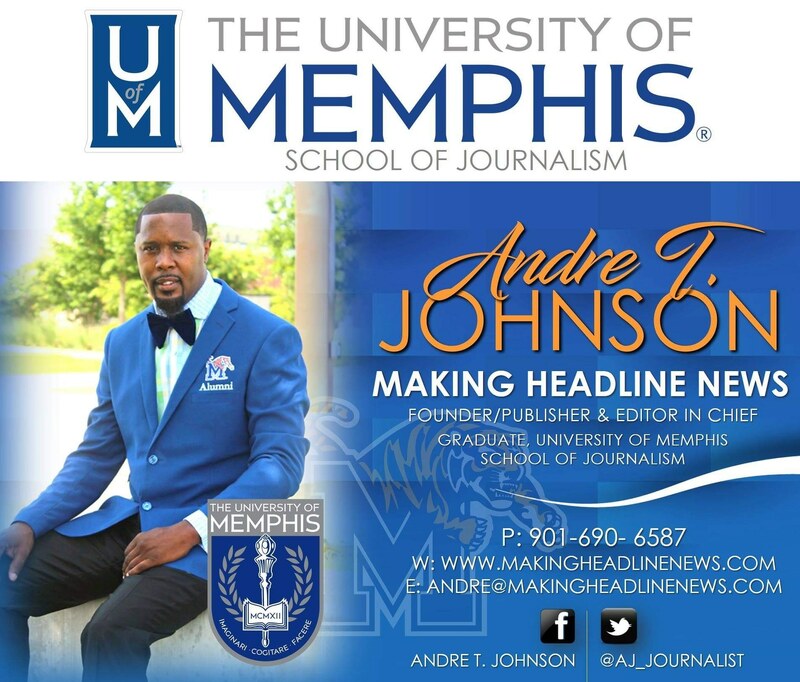 Design You (“Anything not listed above that you want to customize such as spiral bound notebooks or custom made cards and more,” Brown said). 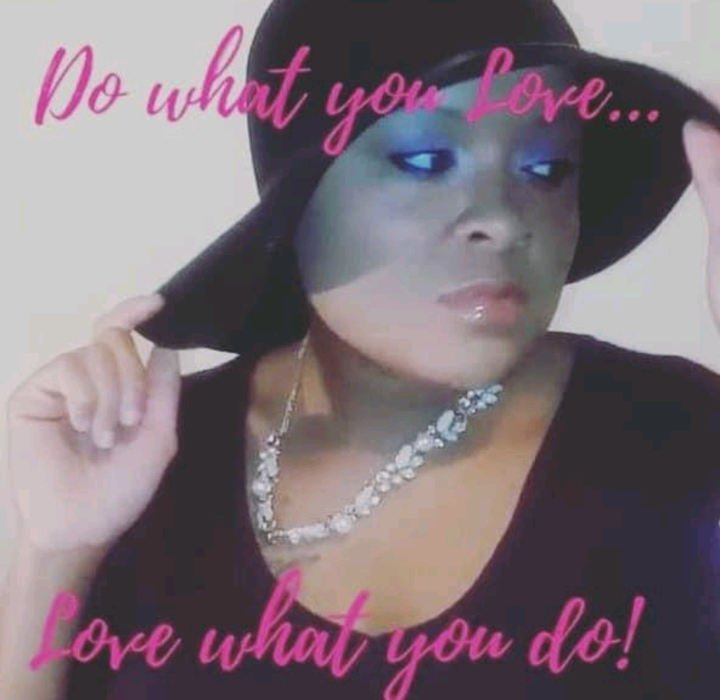 A native of Detroit, amongst the things about which Brown is extremely grateful is that she steadfastly stepped out on faith in delving off into entrepreneurship. Prior to starting Metiamay Visions, Brown had assumed the role of a freelance graphic designer for approximately three years. 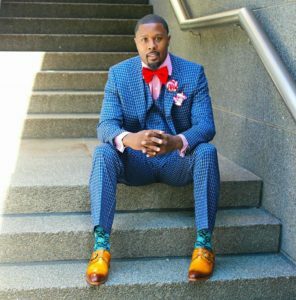 “I decided that enough was enough and I put all my life skills and different job experiences into one space and Metiamay Visions was born,” Brown said. Today, Brown’s rising venture accommodates small business owners, entrepreneurs, corporate companies, and services individuals and groups, ranging from the ages of their mid-20’s through their late 60’s. And, to her credit, her brilliant expertise has given way to her having been afforded the golden opportunity to put her immeasurable skills on display in a host of establishments, including Michigan, Ohio, Kentucky, Indiana, Arkansas, Texas, Georgia, and Alabama, among other places. 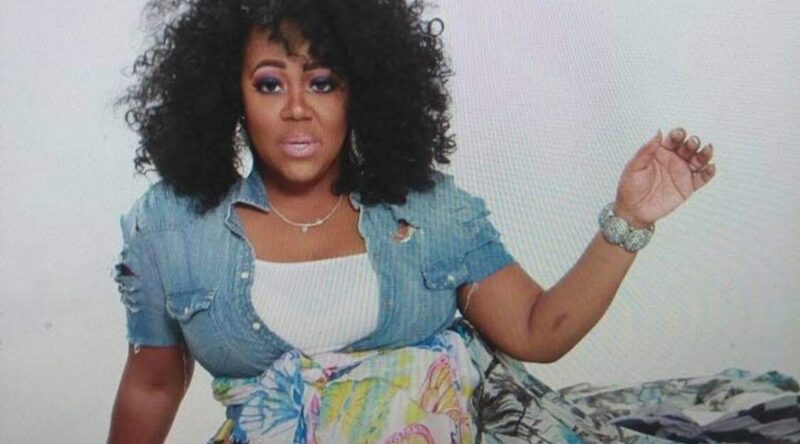 Because she’s fully persuaded she’s fulfilling the purpose for which God created her, Brown is confident the sky’s undoubtedly the limit for her newly-erected business. Behind the unyielding support of her husband, David Brown — whom Brown said told her, “My husband says I should have done this a long time ago and he’s right” — this young Ohio businesswoman said the pivotal factor for starting her business came from a gallery of her peers. 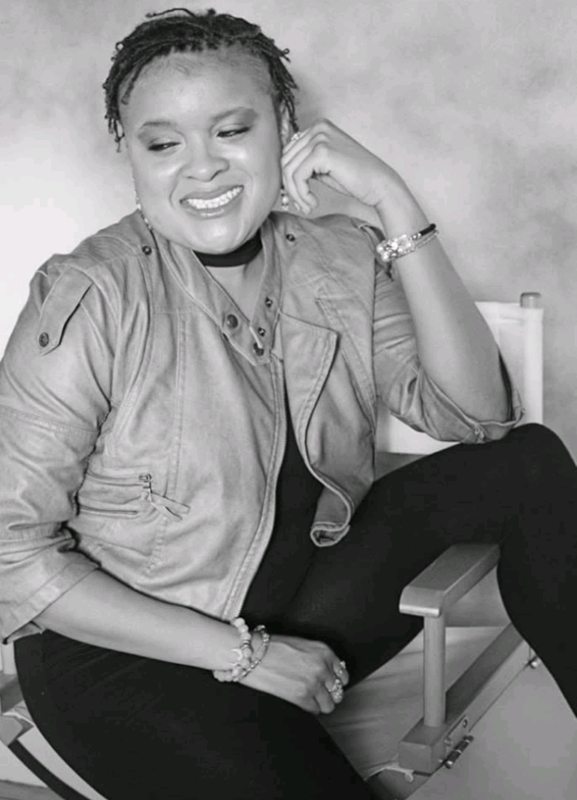 Now that Metiamay Visions is up and running, Brown appears destined to go full throttle with her starting lineup of endeavors, which include her being an accomplished author, who’s preparing to release her second book later this year. JUST WARMING UP — Now that Metiamay Visions is up and running, Brown appears destined to g full throttle with her starting lineup of endeavors, which include her being an accomplished author, who’s preparing to release her second book later this year. In addition, she’s scheduled to attend business expos in the foreseeable future in Chicago, Phoenix, and Atlanta, and she recently spoke at Ohio Media School, during which she enlightened students on the field of media and introduced them her services. “I welcomed my first group of interns that are now a part of my team,” Brown said of her recent visit to that institution. For what it’s worth, Brown is blessed of the notion that she stayed true to herself, stayed the course, trusted the process and, most of all, followed her dreams. “I’m glad I’m finally exposed, because now people know it’s official. 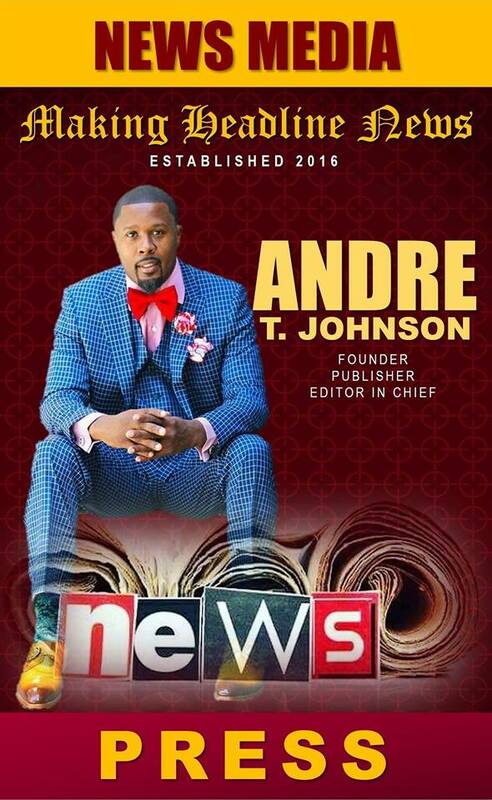 I’m a successful businesswoman now,” Brown said. Fielding the question as if she expected it. 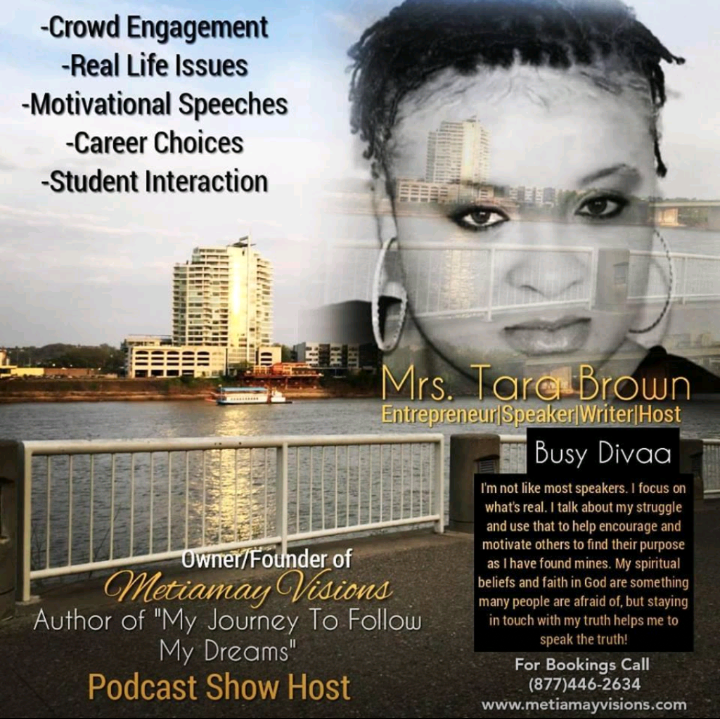 For more information about Dayton, Ohio-based Businesswoman/Author Tara Brown of Metiamay Visions, or to schedule her for a public appearance, book signing, or speaking engagement, call 877.446.2634, or connect with her via social media at: https://www.facebook.com/tarasophiabrown. Also, send email to: metiamayvisions@gmail.com. WOMAN OF EXCELLENCE — A native Birmingham, Alabama who has spent virtually all of her life in the City of David, Rashelle Rey will be hosting her annual Illusion On The Runway Hair And Fashion on Sunday, July 14 in nearby Southfield, Michigan, at the St John’s Banquet & Conference, located at 22001 Northwestern Highway. 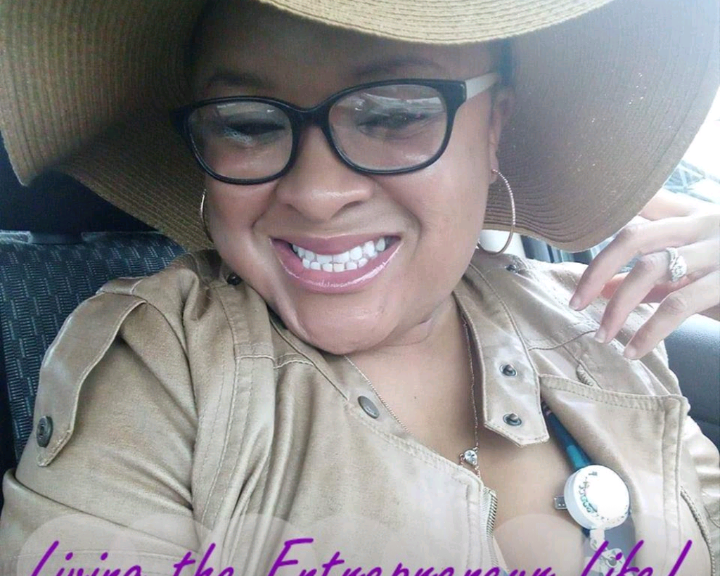 As it pertains to walking in her divine purpose, Rashelle Rey would be the first to admit that she’s all about esteeming others highly than herself. That is why Rey, an accomplished Detroit-area businesswoman, has become thoroughly committed to giving back to her community. 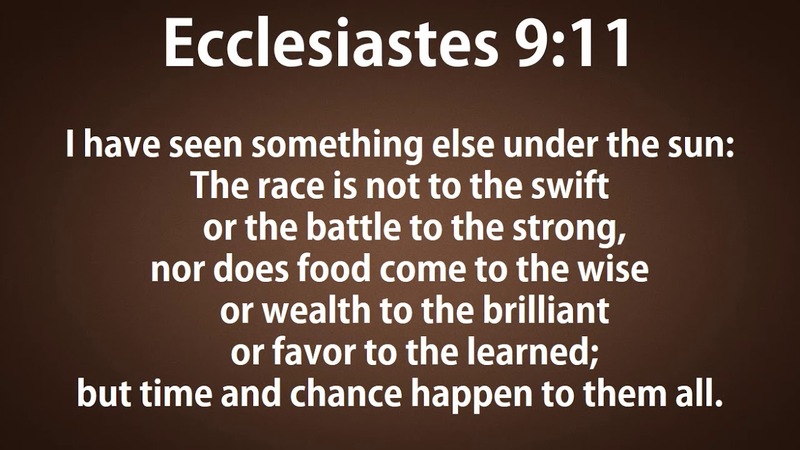 And not just giving back, but giving back in a big way. 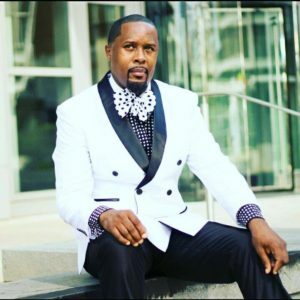 A native Birmingham, Alabama who has spent virtually all of her life in the City of David, Rey will be hosting her annual Illusion On The Runway Hair And Fashion on Sunday, July 14 in nearby Southfield, Michigan, at the St John’s Banquet & Conference, located at 22001 Northwestern Highway. 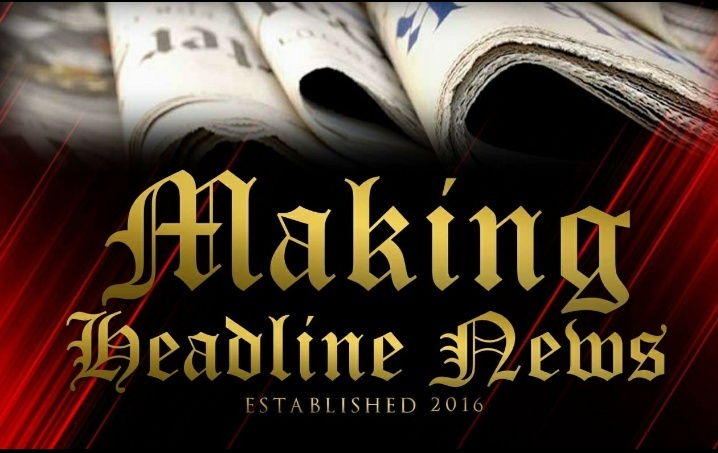 The event that will take place from 3-6 p.m. EST is annual, notable tribute to women and children, many of whom suffer from various forms and hair loss, Rey told Making Headline News this week. A longtime licensed cosmetologist, Rey and her team are placing special emphasis on individuals who have been stricken by alopecia. According to a report at https://www.webmd.com/skin-problems-and-treatments/guide/alopecia-areata#1, alopecia is an autoimmune disorder that customarily stems from excessive hair on one’s pillow, brush, or shower drain. In addition, alopecia occurs when someone notices what medical experts describe as “odd little bald spots” in the mirror or when hair follicles are attacked, a trend that typically causes the hair to come out, often in clumps the size and shape of a quarter. The amount of hair loss, in fact, is different in everyone, medical experts say, considering some people lose it only in a few spots, while others lose a lot. As for Rey’s hair and fashion show, amongst her chief objectives is to bring about awareness to alopecia, as well as various forms of cancer that often result in hair loss. 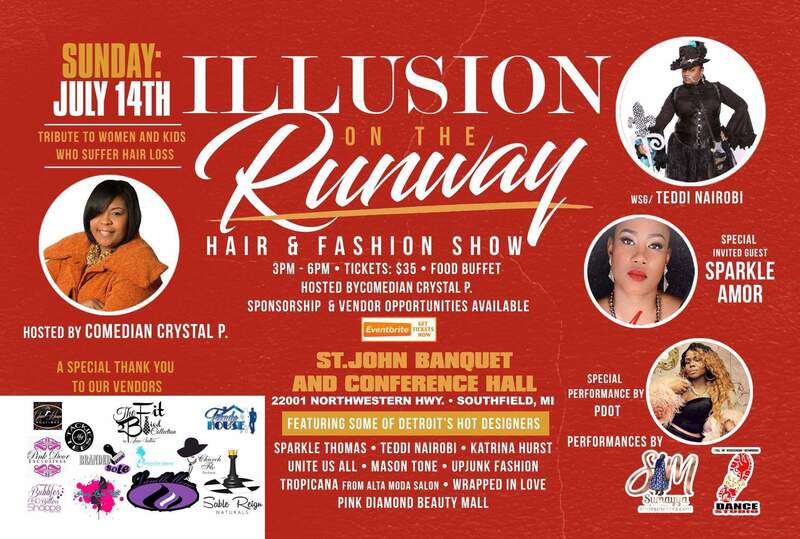 This event will be hosted by comedian Crystal P. and will include a gallery of Detroit’s finest designers, most notably Sparkle Thomas, Teddi Nairobi, Katrina Hurst, Unite Us All, Mason Tone, Unjunk Fashion Tropicana from Alta Mota Salon, as well as Wrapped In Love and Pink Diamond Beauty Mall. Also, there will be a special performance by PDOT, a special guest appearance by Sparkle Amor, as well as other scheduled performances, according to organizers for this event. Early bird tickets are currently on sale for $20 and ends May 25, and sponsorship and vendor opportunities will be available for this event, Rey said. Early bird tickets can be purchased either through Cash App at: $rashellereyrpn or via PayPal at: remnantandpraisenetwork@gmail.com. The feedback since she organized her annual hair and fashion show has been overwhelmingly favorable, Rey said. A 1999 graduate of Crockett High School, Rey advanced her education when she became a licensed cosmetologist. 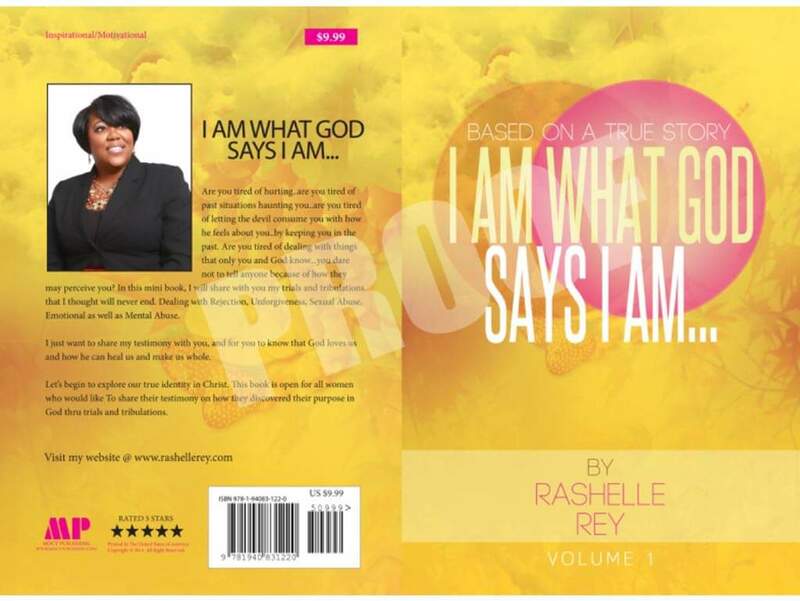 Interestingly, this resourceful businesswoman delved off into authorship when she wrote the book entitled, “I Am What God Says I Am,” a 38-page project that was released in April 2016 and is available for purchase at: https://www.amazon.com/Am-What-God-Says/dp/1940831229. 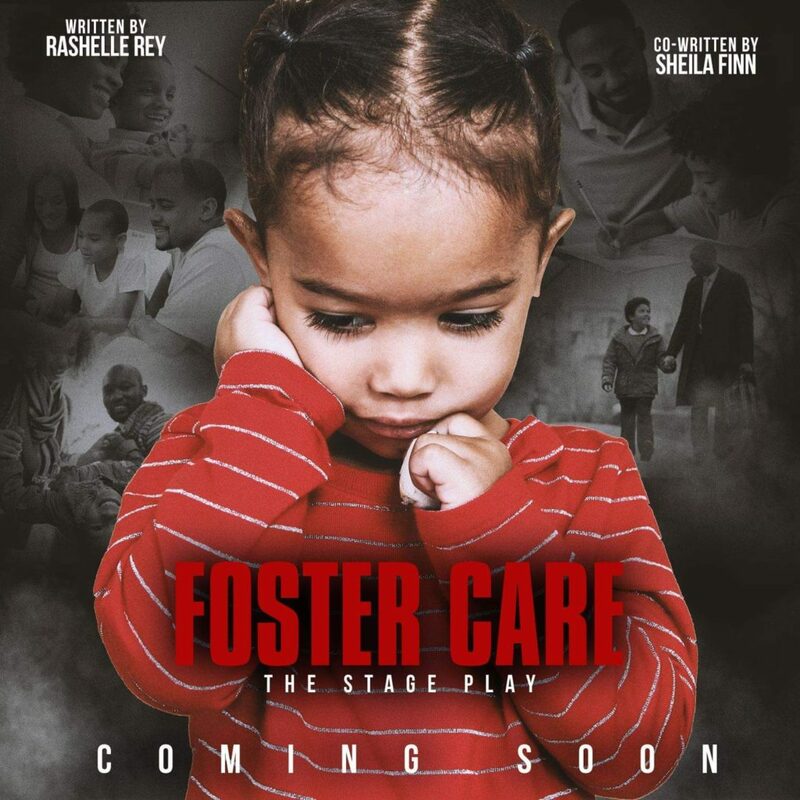 Also, Rey and Shelia Finn co-wrote the forthcoming stage play called, “Foster Care,” which is scheduled to debut soon, she told MHN this week. 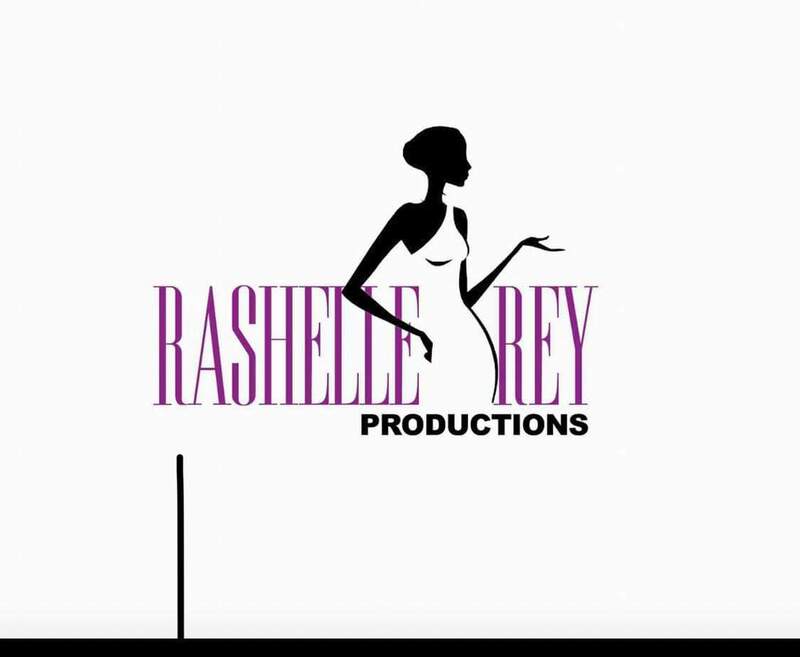 For more information about Detroit-area Businesswoman/Author Rashelle Rey, or to schedule her for a public appearance or speaking engagement, or connect with her via social media at: https://www.facebook.com/rashellel1. 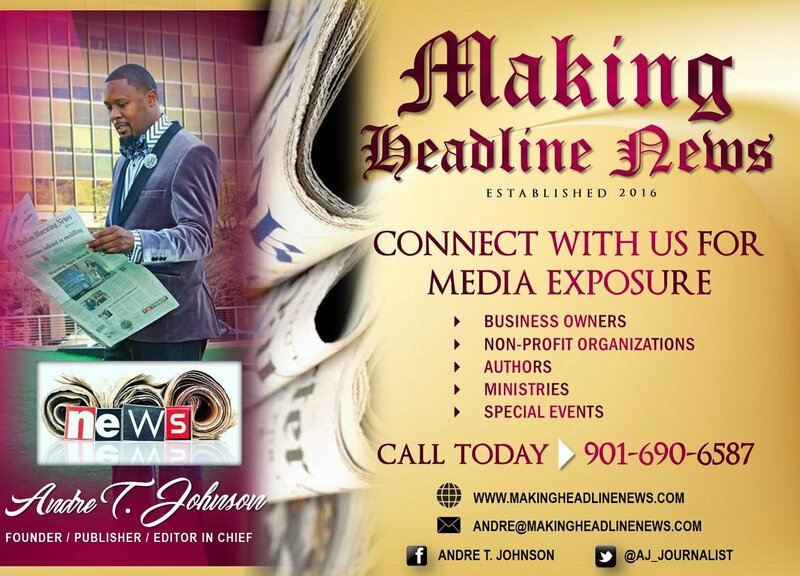 Also, send email to: Remnantandpraisenetwork@gmail.com.